"Love Dave and the entire staff at NW Imports. They've treated me with kindness, courtesy, and respect. They are fair and honest and do their very best." They are always fair and charge me Only for work I approved beforehand. I've been going to David and his team for 20+ years. Not only is he completely trustworthy and reliable he is ALWAYS 2/3's (or better) of the cost of BMW service. Its gotten to the point where when a service or malfunction light comes on, I drop it off knowing that the car is in great hands and that there won't be any surprises. David and Andrew know my vehicle and are available to keep it operating in the best condition possible. I have great confidence in their ability to do the right thing at a reasonable expense. First time visit, it was easy, it took a tad longer than expected, but then again it was a Friday morning when I took the car in for repair. All in all, not bad, was a little more expensive than anticipated, but now days that's pretty much an expectation for foreign cars. Northwest imports is keeping our 1988 BMW alive. They give sensible advice and do not go overboard with remedies. We pray for them. They always do a great job and are honest. They know their stuff! 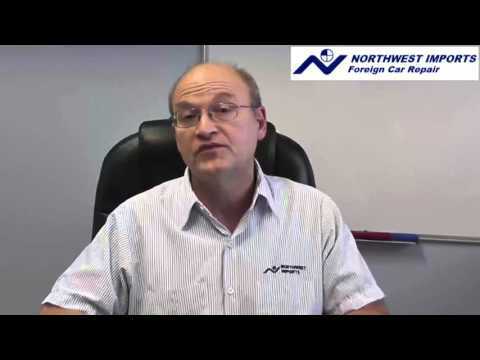 As far as I am concerned, Northwest Imports is the place to take your foreign car for service once it is past its factory warranty. David and his team are just great people to work with. They are very competent and their prices are very reasonable. Both of our vehicles are under their service now. They were extremely respectful and nice and very knowledgeable on my VW and had the work done very fast. It was a bit pricey but the timeline and work done was worth it. Came in with an '07 Volvo S80. Knew beforehand that the oil separator PCV system was shot. Gave a fair price on parts and labor, and fixed extremely quickly. Very polite, and I will absolutely come back for anything I can't fix myself. Been a customer of NW for over 15 years - they've always done excellent &amp; professional work and have always been willing to accommodate my various custom requests - use them with confidence. Staff was knowledgeable and took their time to explain the process of the repairs. Northwest Imports has been serving Austin and the surrounding area since 1984. This team of automotive professionals is very experienced and takes the time to attend regular training to help ensure your vehicle is repaired correctly the first time. This training, coupled with some of the best automotive tools and computer diagnostic equipment enable this location to provide repairs ranging from advanced diagnostics and programming, to check engine light repairs, to minor and major mechanical repairs, as well as your scheduled maintenance needs. For your peace of mind they back their work with a 24-month / 24,000-mile warranty. Our unbiased review of their most recent customers revealed they not only do a great job taking care of your car, they also excel at customer service as well. This team was described as “knowledgeable”, “reliable”, “trustworthy”, and “accommodating”. A local shuttle service, rental vehicles, early bird drop off, and a waiting area with wireless Internet are available for your convenience.